Shortly after Apple unveiled the fingerprint reader on the iPhone 5s, Samsung went on the record stating it had no interest in following Cupertino's move into biometrics. 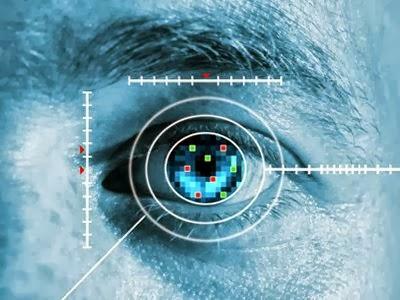 Now, however, a rumor has surfaced suggesting the South Korean company may attempt to one-up the iPhone-maker with a futuristic eye-scanning security feature that could make its debut on the Galaxy S5. AndroidSas first reported on the eye-scanning rumor earlier today, noting that it doesn't come from a trusted source or directly from the company. We're definitely taking this one with a grain of salt, though we wouldn't be surprised to see Samsung introduce some sort of security feature in its upcoming iPhone 5s competitor. An eye-scanning sensor also isn't out of the question, with multiple reports suggesting Amazon is working on similar technology, though with a different application in mind. The Galaxy S4 was officially announced last March, but we're already hearing reports that Samsung may rush out the S5 in early 2014 to compete with Apple. AndroidSas suggests the company will unveil its next flagship handset in late February at Mobile World Congress 2014, though any big news would likely take place at a special event rather than on the trade-show floor.